All day comfort and style is gauranteed in the Tilly sandals. 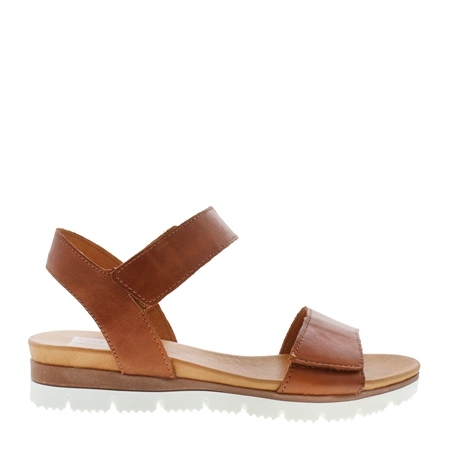 Crafted from soft brandy leather, set on a cushioned leather sole these sandals have a velcro fastening perfect for wider fits and a flexible rubber sole. Finish your look with casual cropped denim.